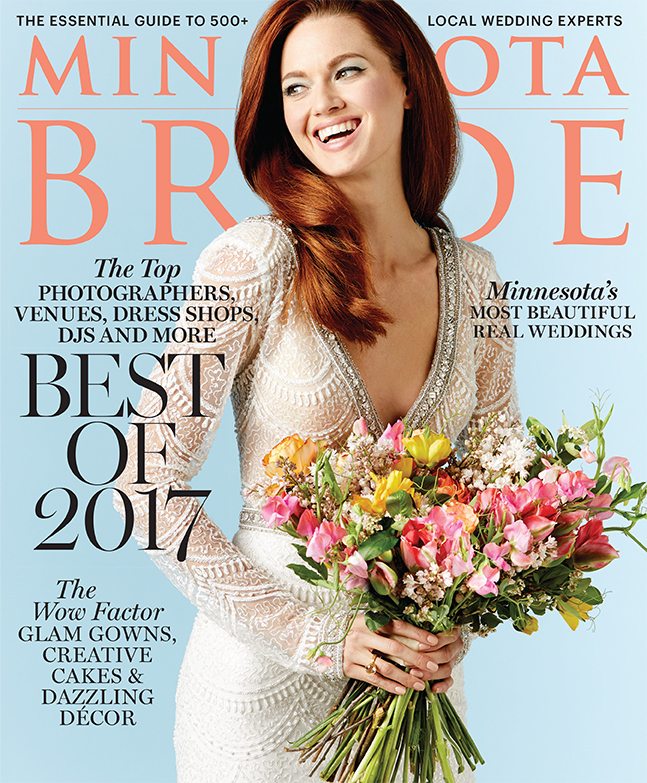 Amy + Joel's timeless fall wedding at the Mayowood Stone Barn was recently featured by Minnesota Bride Magazine in their Fall/Winter 2017 edition! To see more of their stunning wedding, check out our blog post here. 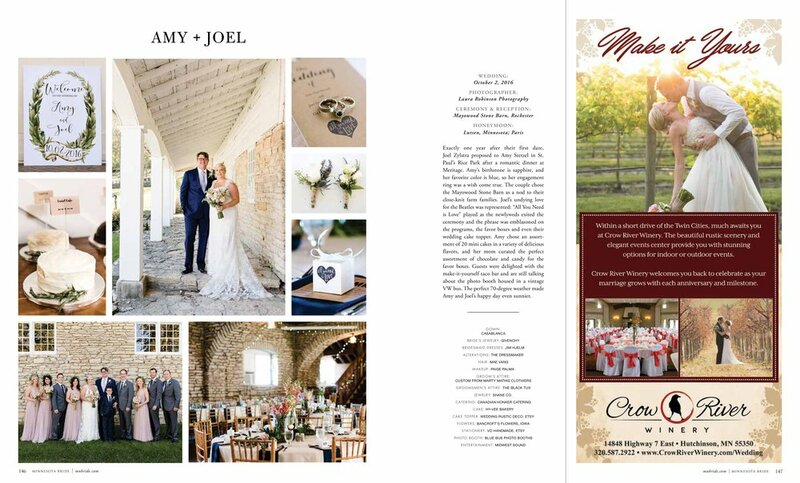 Tashina + Nate's destination wedding in Lyons, Colorado has been featured with Destination I Do Magazine! "It takes a village"... or at least, a fantastic vendor team to help plan their gorgeous wedding at The Lyons Farmette, all the way from Poland. The bride had some wonderful advice to share with other couples planning a destination wedding from afar, so take a look. Full feature is here. Enjoy! While you're at it, check out our blog post for more stunning images.... and then be sure to read Tashina's own advice-filled blog post with 10 To-Do's for Your Wedding Day! Thank you to Forever Bride for this super FUN feature of Layce and Brandon's magical DIY glitter + gold wedding at the Mankato Regional Airport! To see the full feature, click here.